Marie J. Barillaro Slue, 70, died on Monday, July 10, 2017, at Connecticut Hospice in Branford, after a courageous battle with cancer. 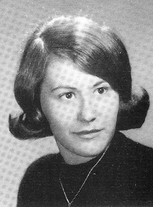 Born in Meriden on July 1, 1947, she was the daughter of the late Rocco and Inez (Balestracci) Barillaro. Marie graduated from Platt High School and Grace New Haven School of Nursing. Mrs. Slue was retired from MidState Medical Center. She was a parishioner of Our Lady Queen of Angels, Mt. Carmel Campus. Marie was very creative and enjoyed sharing with family and friends what she made. She is survived by her daughter, Christina Slue; two grandchildren by love, Tatiana and Elijah; one niece, Rebecca Slue; one nephew, Brandon Slue; and many loving cousins. She was predeceased by a brother, Larry Barillaro. Click here to see Marie Judith's last Profile entry.